!! 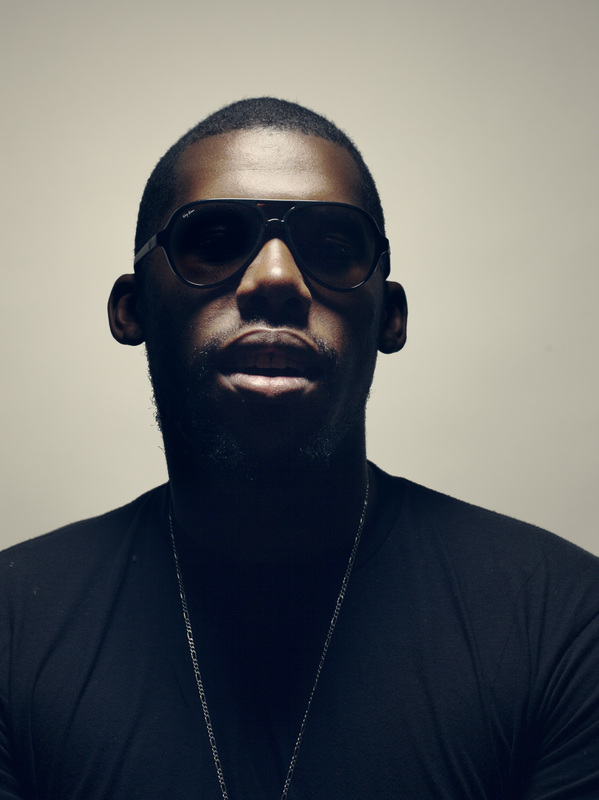 OMG, mpFREE: Flying Lotus gifts a free folder of unreleased b-sides, demos and concepts !! It’s sometimes nice to hear a rawer, unmixed demo or a b-side you wouldn’t normally have access to from an artist. It takes some balls to release an unfinished concept or idea you never got around to finishing! 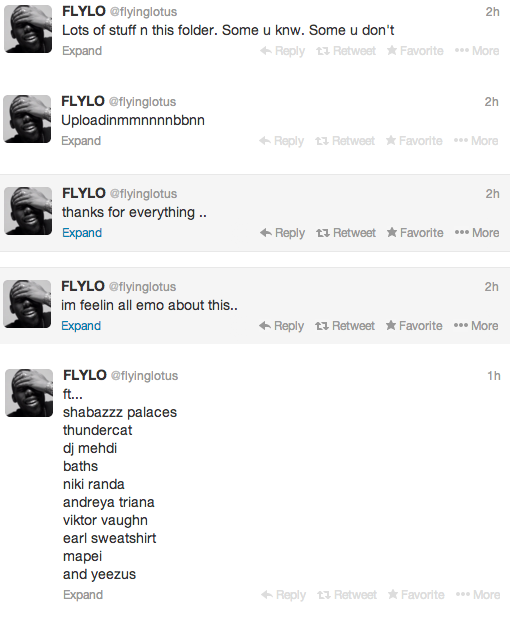 Well, Flying Lotus tweeted a whole folder of unreleased tracks today. Demos, ideas, loops, and songs which feature artists like Shabazz Palaces, Thundercat, DJ Mehdi, Kanye, and more. You can download it here while supplies last, and check out his tweets and explanation for dropping it after the jump! 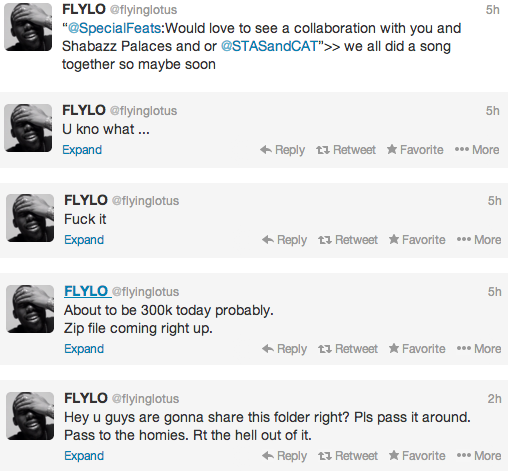 Be the first to comment on "OMG, mpFREE: Flying Lotus gifts a free folder of unreleased b-sides, demos and concepts"